Clare County Council is to meet with residents and business owners in the Turnpike area to come up with an alternative to controversial parking proposals there. 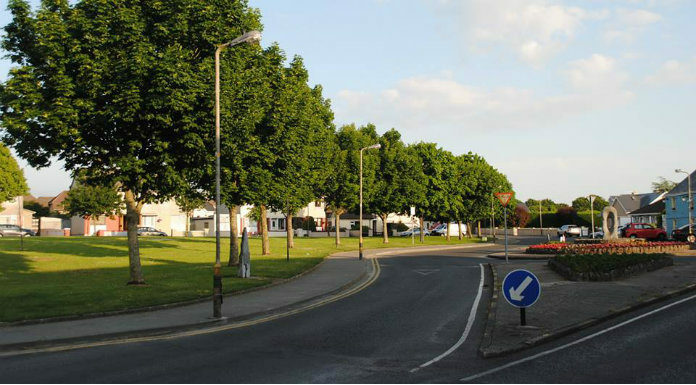 A draft proposal to install 46 bollards to prevent roadside parking, while building a new car park on an existing green area has been widely criticised by members of the local community. Last May, Clare County Council was requested by elected members to assess safety concerns at the Gallows Hill junction in the Turnpike. In response, a proposal was circulated last month to councillors and businesses and residents there. The plan included installing 46 bollards on the road outside businesses including Yvonne’s Takeaway and Gleeson’s Pub, to prevent roadside parking, while paving over part of an existing green to include 15 new parking spaces. But more than 200 people signed a petition against that proposal – local hairdresser Colette Gavin says it would have had a major negative impact on businesses. Clare County Council says it’s clear from the initial feedback that elements of discussion document is not to the satisfaction of the businesses and residents so a fresh meeting will be held. Fianna Fáil’s Pat Daly, who’s a resident in the area, says this is the best outcome. And now, as residents in the area look ahead to the planned meeting, they’re insisting that they can’t lose their green areas. Gallow’s Hill resident Tony Coote says they would have a lot of concerns about the implications of paving over any green in favour of a public car park.